The Homrighaus Family mourns the loss of (BOI) Henry L. Homrighaus, Jr. He has been called home to the service of our merciful, compassionate, and loving GOD on April 1, 2018. Henry L. Homrighaus, Jr. was born on February 28, 1943 to Henry L. Homrighaus, Sr. and Frances Artive Homrighaus. Henry L. Homrighaus, Jr. was a naval veteran, Security Industry Expert for over 46 years, avid hunter and fisherman. To his sons and grandchildren we have lost the patriarch of our family. The words of wisdom, compassion for others, lessons on friendship, sense of humor and love for his family and friends will be greatly missed. Henry L. Homrighaus, Jr. is a career security industry veteran with a wealth of experience derived from military, law enforcement and security industry involvement. He is an acknowledged leader and frequently consulted in areas of research, legislation, and litigation. With a career spanning 40 years he was experienced in all areas of the security spectrum. 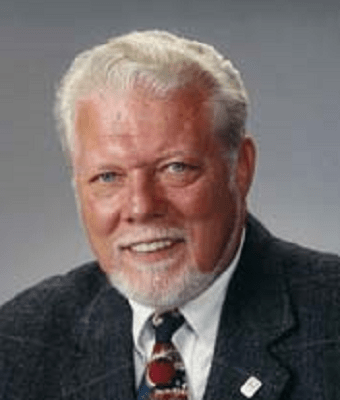 He was a pivotal individual in area of legislation involving the security industry and helped to found the Texas Burglar and Fire Alarm Association and the Greater San Antonio Alarm Association now known as the South Texas Alarm Association. Mr. Homrighaus sat on the Fire Alarm Advisory Council for the Texas State Board of Insurance in 1975. Henry has been published in many of the security trade journals and is an acknowledge authority in marketing and sales. He was a published author and his book entitled “A Primer on Electronic Security for Schools, Universities & Institutions” is rapidly becoming a resource in educational security. He is a consultant to schools, universities, and institutions in the design and deployment of large scale security integration projects. He was on the team that computerized the first UL Approved Central Station in America for ADT Security in Houston, Texas. He subsequently designed the UL Approved Central Station for The University of Texas Medical Branch. At the time of his death Henry, as owner of ProSecCon, Inc, consulted with security companies, industry manufacturers, school districts, universities, and private enterprise using his experience to guide them to appropriate solutions by addressing their particular concerns. He also served as an expert witness to insurance companies, attorneys, and security companies. Henry was a member of the American Society of Industrial Security, The National Fire Prevention Association, and The American College of Forensic Examiners International earning the CHS-V designation in Homeland Security. Henry was the oldest of eight children; all were BOI’s. His brothers are George Edward (deceased), Gerald Dennis (Bear) (deceased), twins, Robert Lee and Ronald Lee (deceased), Martin Dee (deceased), Christopher Michael and Thomas John Homrighaus. Henry L. Homrighaus, Jr. was married to Terrie Lynne Homrighaus, who is preparing their place in heaven. They were married for 43 years before Terrie’s passing on November 2nd 2011. Together they had two children, Henry L. Homrighaus, III and Stephen M Homrighaus. Henry L Homrighaus, Jr. will be survived by his sons, their wives and eight grandchildren, whom he adored: Henry L. Homrighaus, III his wife Mary and their four children Joseph, Jason, Hondo, and Rosemary Homrighaus. Stephen M Homrighaus and his wife Wendy and their four children Conner, Corbin, Caysen and Cadee Homrighaus. The Homrighaus Family would like to recognize Grace Carr for her loving support of our father for the last three years of his life.